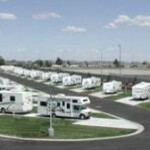 The Franklin County RV Park at TRAC in Pasco, Washington was opened to the public in 2004. The quiet convenience of having an RV park at the TRAC facility in has helped it become the premiere destination for both full time stays and overnighters. 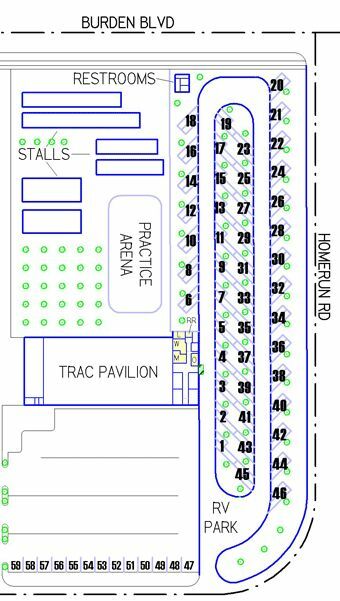 The Franklin County RV Park at TRAC offers full amenities including high tech wireless internet and cable TV. The RV Park is nestled behind the TRAC Facility far enough from the freeway to avoid the noise, yet still offers quick access. 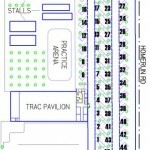 Local businesses cater to your needs and many are within walking distance. A bicycle trail right outside TRAC can take you on a 25 mile round trip tour of the Tri-Cities. The three rivers in the area, Columbia, Snake and Yakima offer many water sports as do the 10 golf courses and driving ranges in the area. The Columbia Basin is home to many renowned wineries as well and tours occur frequently. We drove through this RV Park during the 4th of July weekend. The park was booked solid. It seemed like there were a lot of full time campers at the park. The park is small but seemed well kept. It is right next to the TRAC, Pasco's huge baseball and sports complex so it is very convienent to attend baseball games but could be noisy. Their isn't a ton of room between the camping sites but space was adequate. It was easy to get to the park from the freeway, just follow all of th signs.